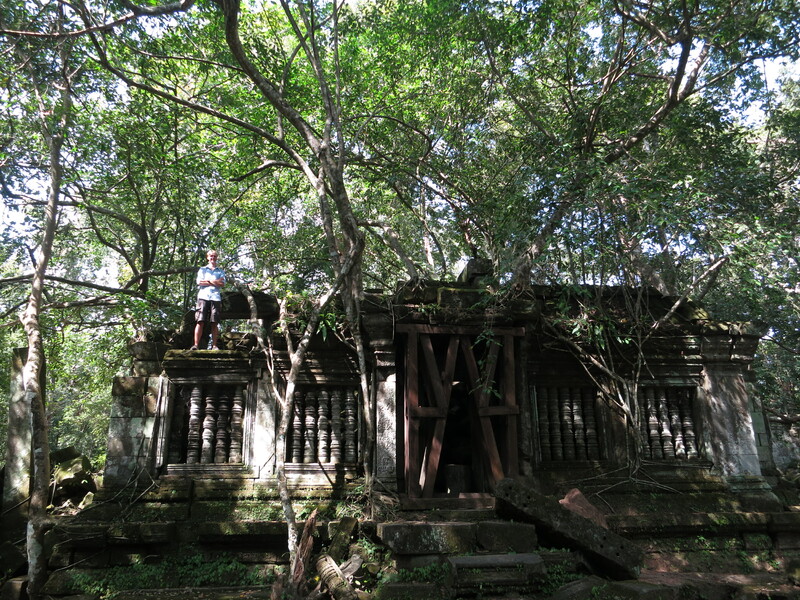 We spent the entirety of our second day at Angkor on a single site: Beng Mealea. 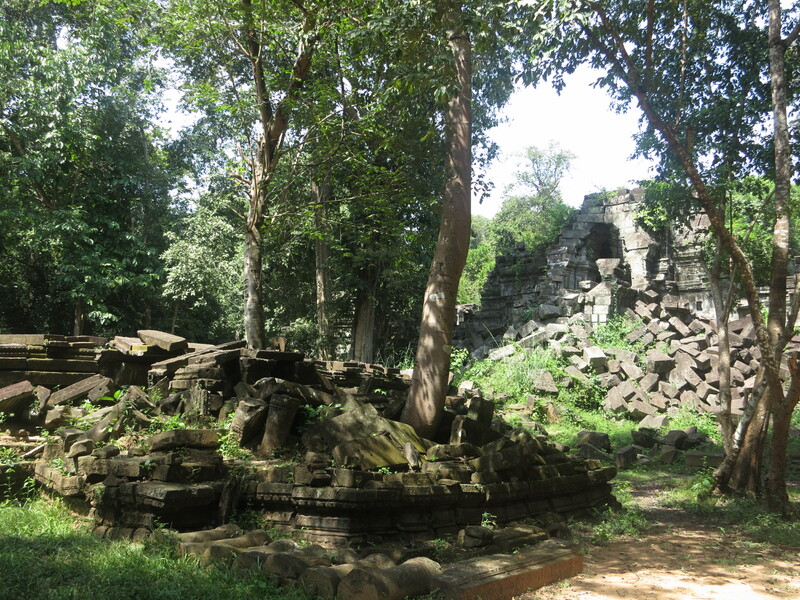 It’s actually 70km away from Siem Reap (the modern-day Cambodian city next to Angkor) – for what it’s worth, despite my lying title, it’s not actually a part of Angkor at all – so it takes a good hour and a half to get there on a tuk-tuk. There’s a floating village (on Tonlé Sap Lake) nearby-ish, and often people combine them into a one-day trip. 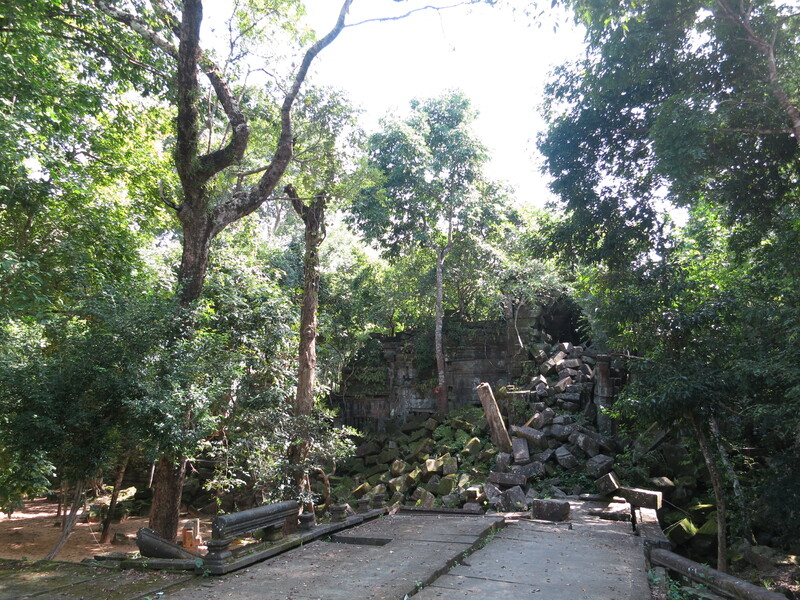 But we spent so long at Beng Mealea that we didn’t even really have time for that. Just the one stop for us that day. 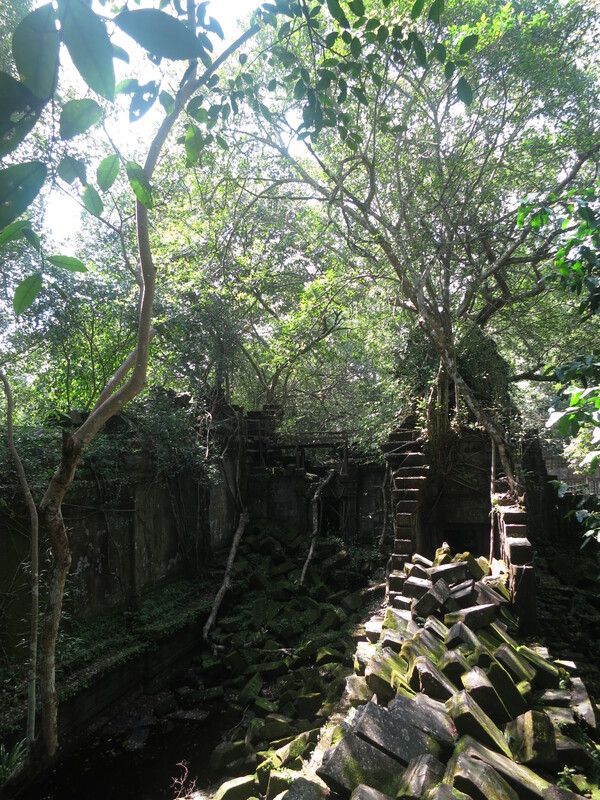 In Beng Mealea, you can’t escape the feeling that the jungle and the stonework have been engaged in mortal struggle for centuries. 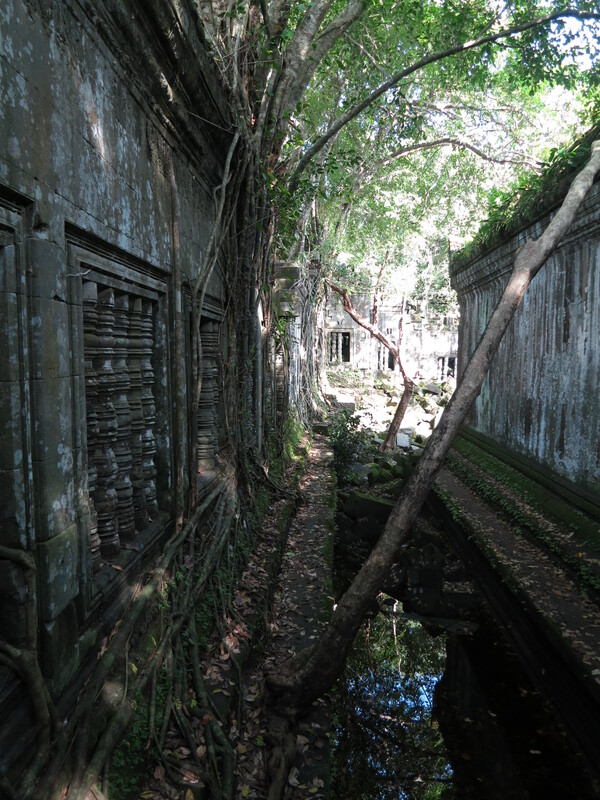 Slowly, unrelentingly, as time plods on, the jungle wins. But never totally. 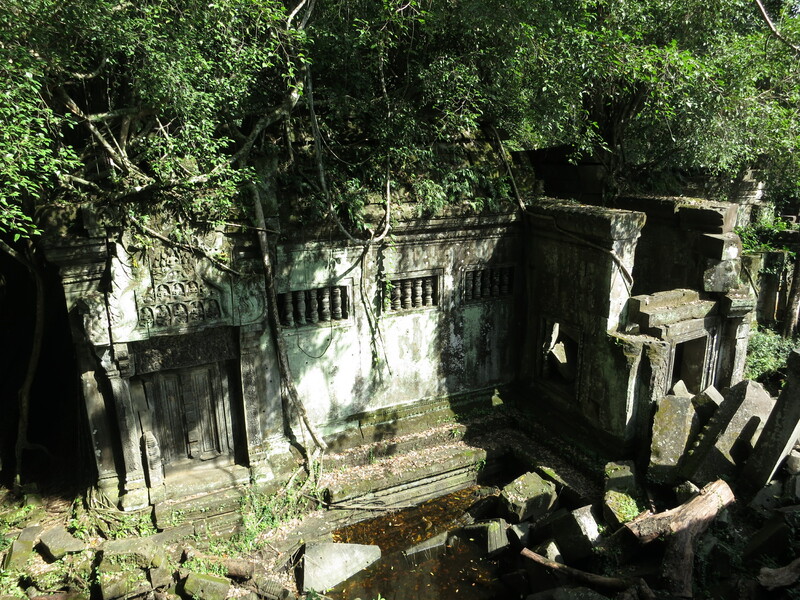 Scouting through the remains of the site, you feel like you yourself are discovering ruins which have remained untouched for eons. Of course you’re not – and the handful of other tourists and their guides will attest to that, as will the tasteful wooden walkways guiding your path through the site. … but I’m pretty sure that this one has tipped the balance into mostly-vegetable-land. You can understand, I hope, why we spent hours here. It’s excruciatingly scenic, and at the same time it’s essentially an adult jungle playground, with elements of history thrown in for free. And because it’s so far away, it’s a pleasantly untouristed one as well. 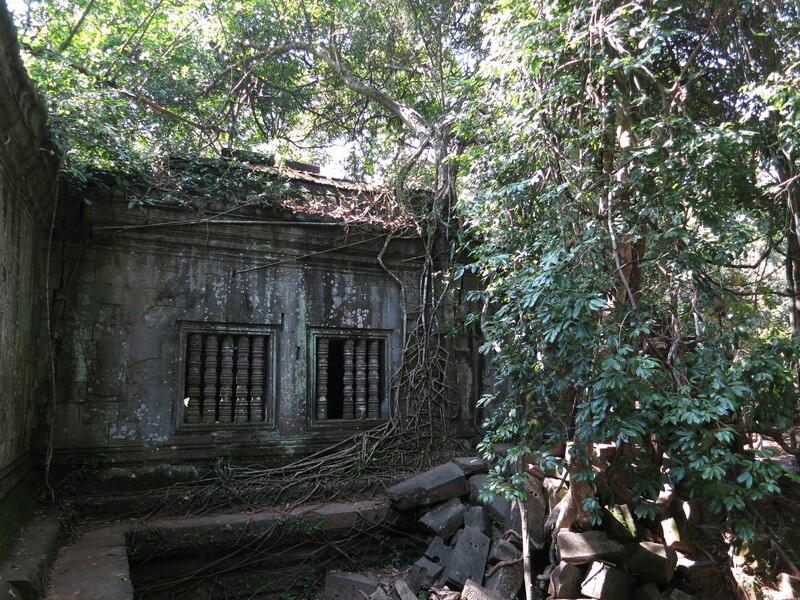 Beng Melea is more derelict than the rest of Angkor, but this is its charm. 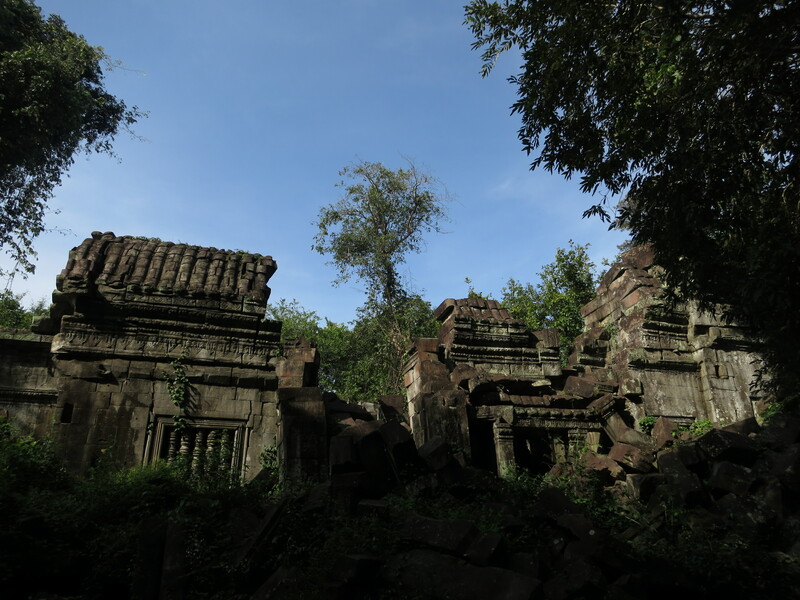 With such a variety of old Khmer monuments to see, it’s fascinating to see one in such disrepair, with the agent of its demise still growing inexorably throughout the buildings and rubble. Whether you’re the horn-rimmed glasses type, prone to sitting and thinking deep thoughts about the tension between manmade ephemera and the ever-striving response of man’s environment, whether you’re an enthusiastic seeker for some less processed sights than ones seen elsewhere, or whether you just like running around in the jungle playing treehouse on some old, pretty structures, Beng Mealea is an extra day most definitely worth adding to your time near Angkor. 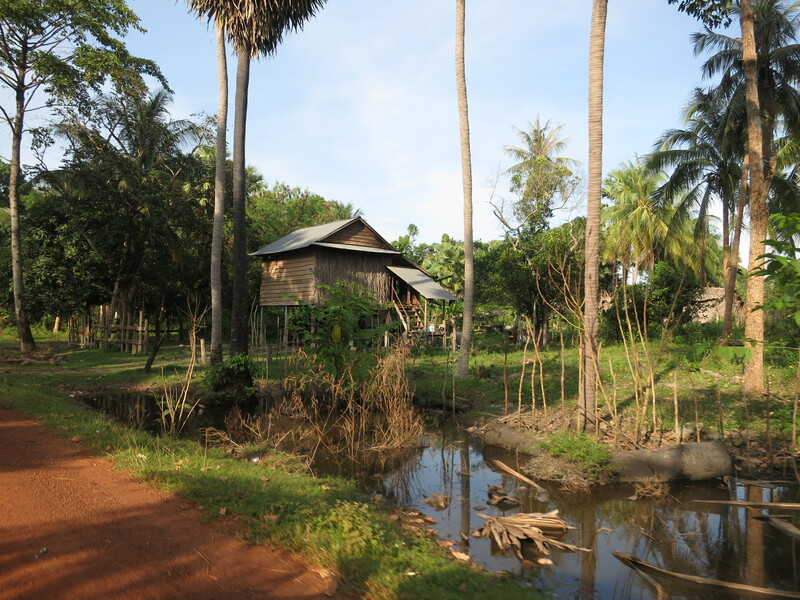 At least, that was our conclusion, as we took in the local scenery on our tuk-tuk ride back to Siem Reap after a hard day’s running around. And we decided, further, that our running around had earned us a good filling dinner, so we found the local Austrian restaurant and tucked into a nice big totally-Cambodian-or-something Wiener schnitzel. As you do. Fuel for tomorrow’s final day of Khmer adventures. 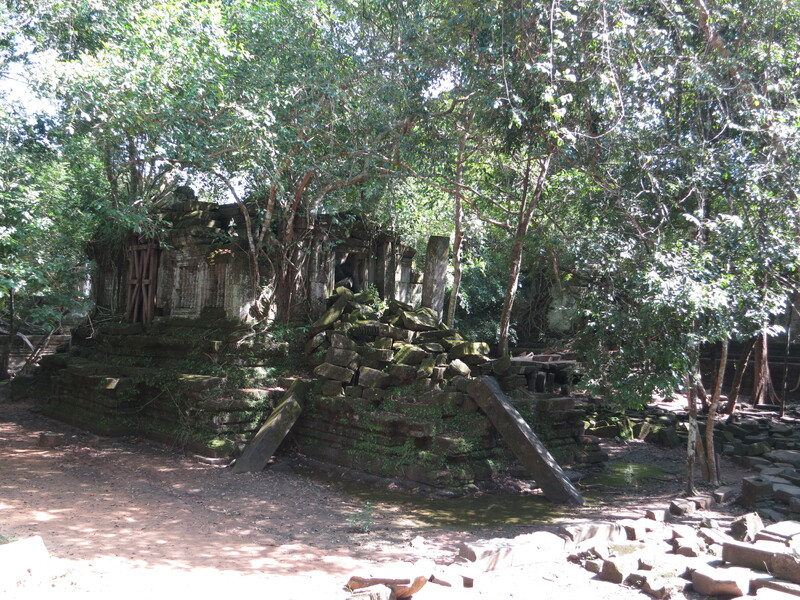 This entry was posted in Travel and tagged angkor, cambodia by Sam Roberton. Bookmark the permalink.